Fiber Optic Laryngoscope Set has stainless steel construction, a removable light pipe and smooth surface design. Miller blades are also known as Straight Blades. Premium quality materials are used in manufacturing of the Laryngoscope Fiber Optic handle and blades. These sets are custom made combination of blades. 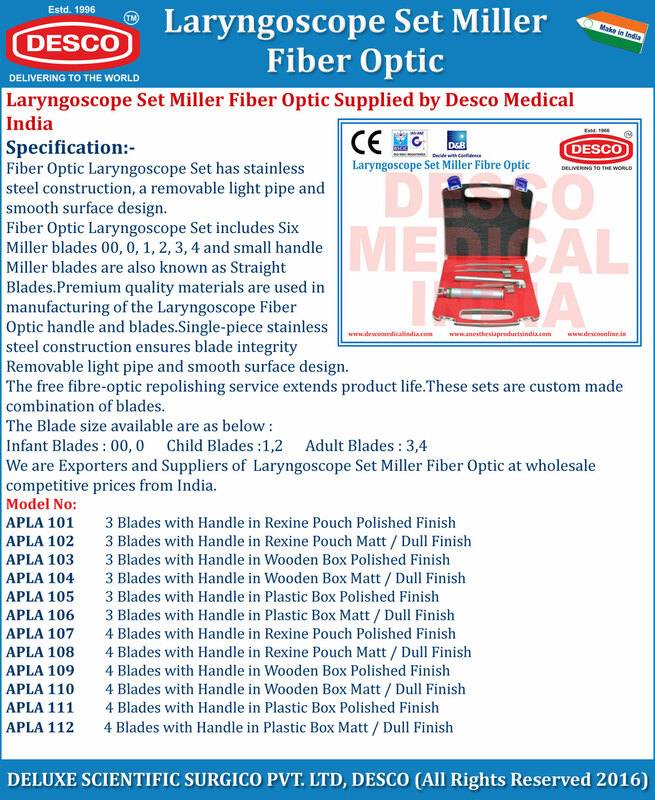 We are Exporters and Suppliers of Laryngoscope Set Miller Fiber Optic at wholesale competitive prices from India.